Glenn Sidman founded the SimAbility company which promotes sim-racing as a viable hobby for anyone who is physically challenged. This way it becomes possible for people with a disability to take part in our wonderful hobby. 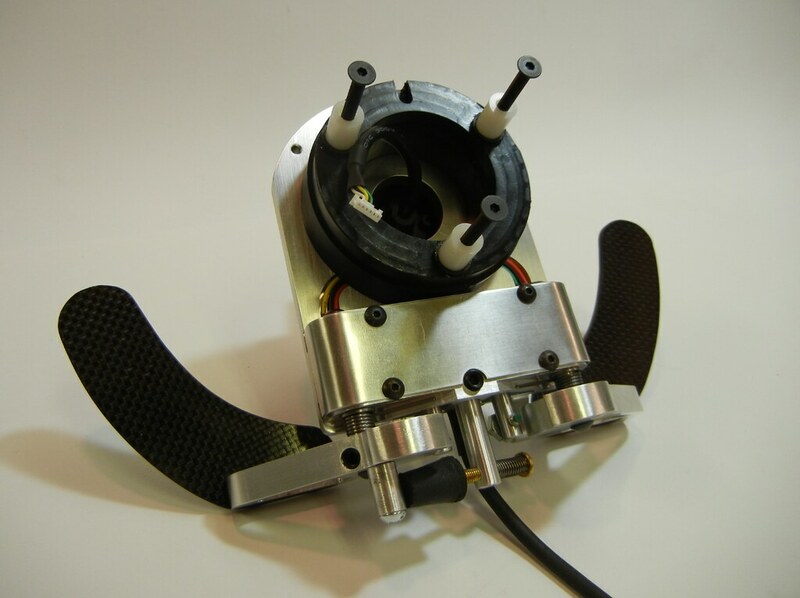 Glenn develops affordable Sim-Racing Adaptive Controls solutions by providing hand controlled adaptations to existing sim racing gear from SRW, Logitech, Thrustmaster, and Fanatec. 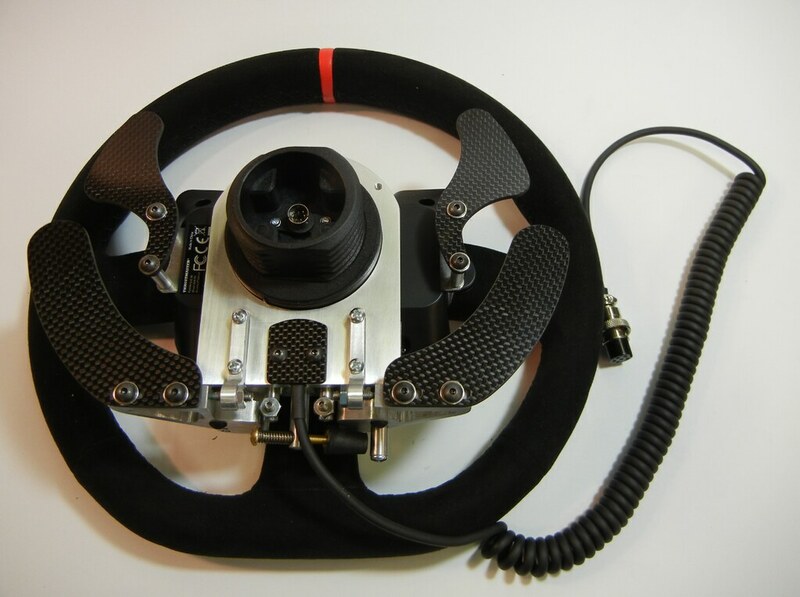 Their flagship product is the GT Style Ring Hand Control unit. Currently, the 2e generation of the product is in development for the Thrustmaster T300/TX//T500 and the Logitech G27. But there is more. 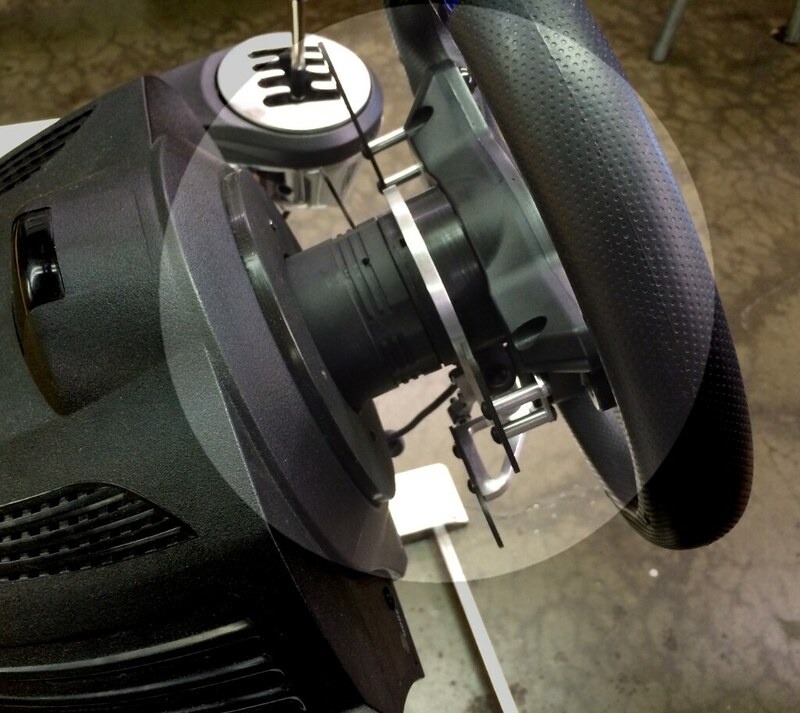 SimAbility now published a new Product info and installation instruction video for the SimAbility GT-Paddle Thrustmaster T300/TX wheels. 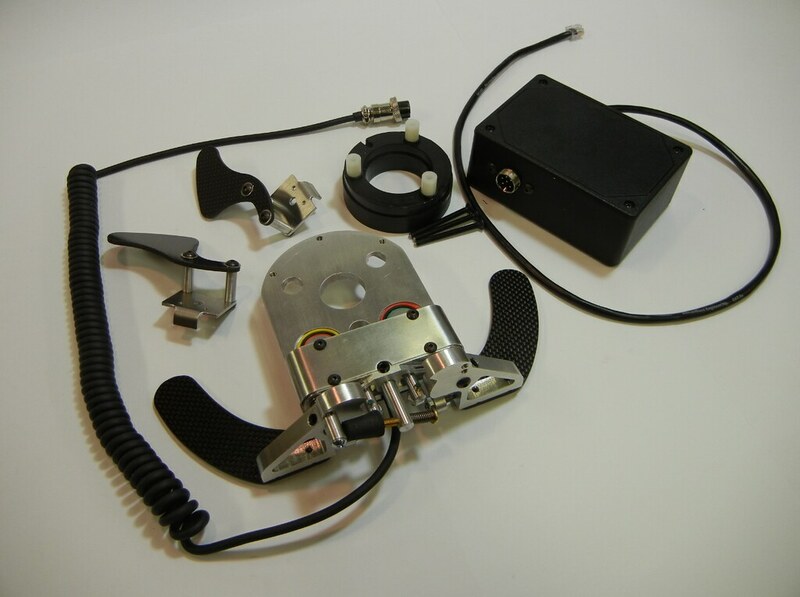 The GT Paddle Hand Controls throttle and brake paddles are designed to be installed on a supported Thrustmaster GT wheel and used on a Thrustmaster T300 or TX base. 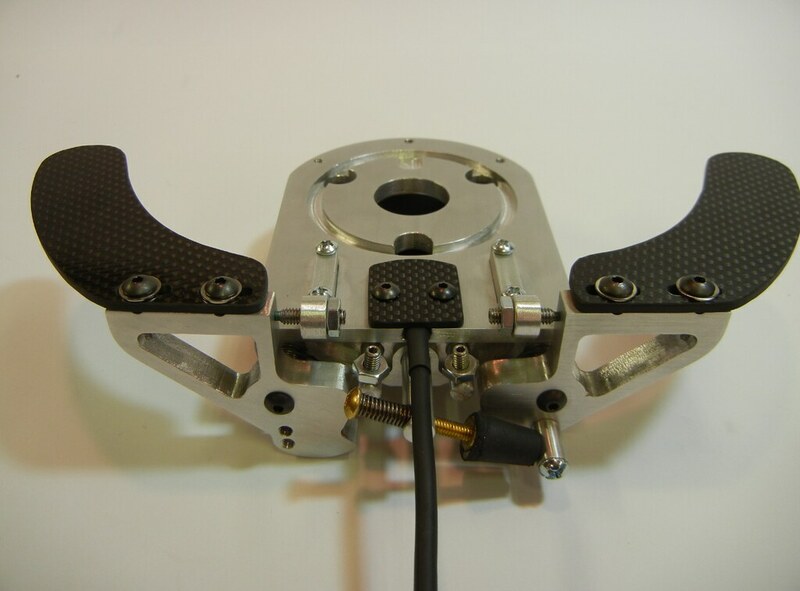 These are carbon fiber paddles mounted to aluminum rocker arms attached to a solid machined aluminum housing. 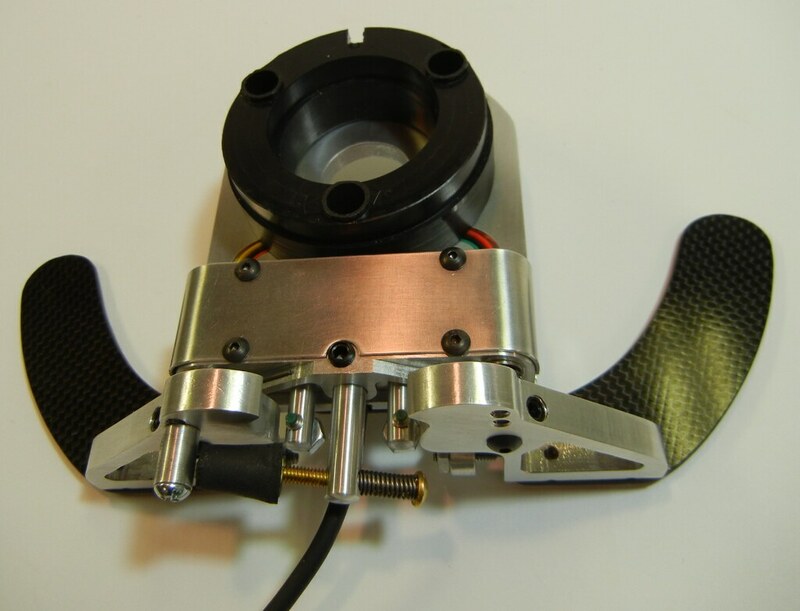 All rotating parts are managed by ball bearings rather than bushings. These are seriously solid paddles with a smooth operation. Please visit the official website for latest pricing and availability.